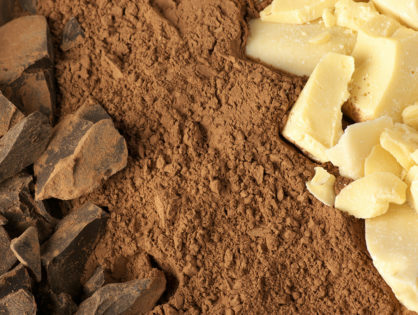 Manufacturers, exporters, wholesalers of premium chocolates. 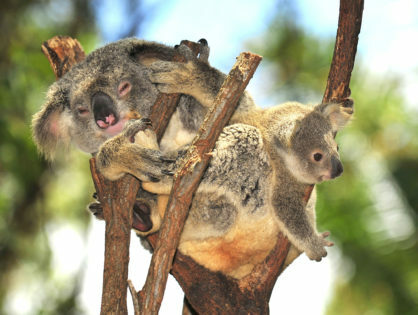 Crest Chocolates is a Brisbane local, family owned and operated company established in the 1950’s. 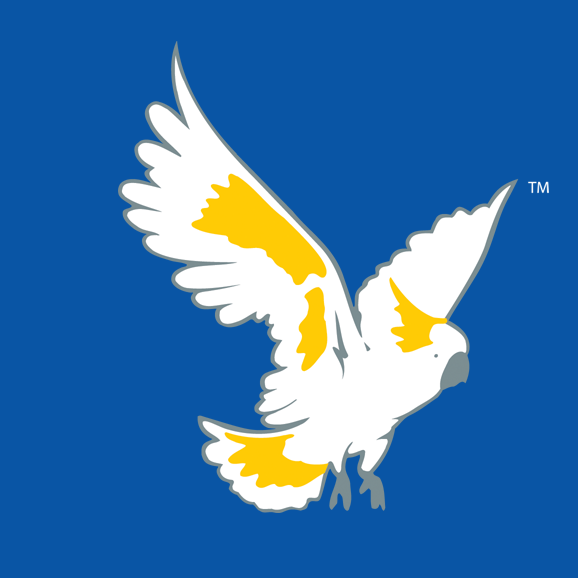 Crest has since developed into the largest chocolate manufacturing company of its type in Queensland. Crest Chocolates also specialises in a high profit and delicious fundraising range. 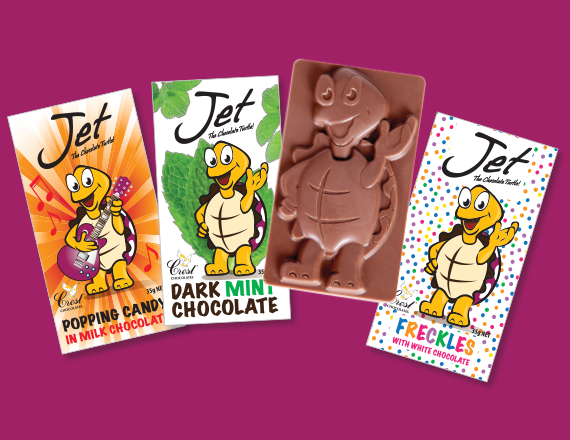 We have a great assortment of $1.00 and $2.50 chocolate bars, split into three ranges. 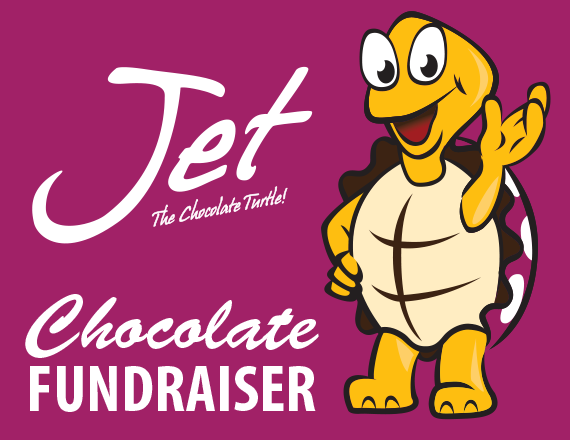 Ideal for your next chocolate fundraiser. 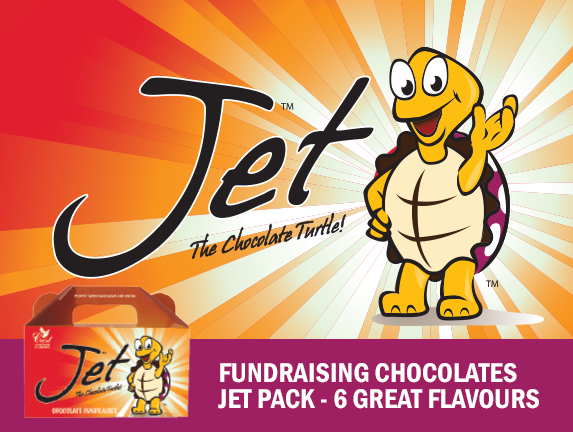 Check out our three popular fundraising chocolate ranges including Jet, Snack and Original Packs. 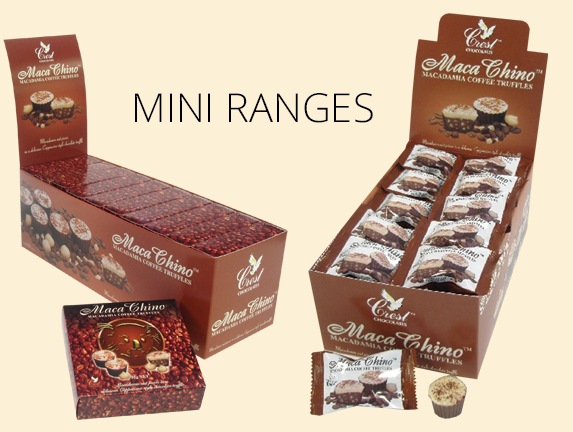 We manufacture, export and offer wholesale boxed chocolate product ranges. Our new 2018 Fundraising Chocolates brochure includes details on our range, pricing & profits. 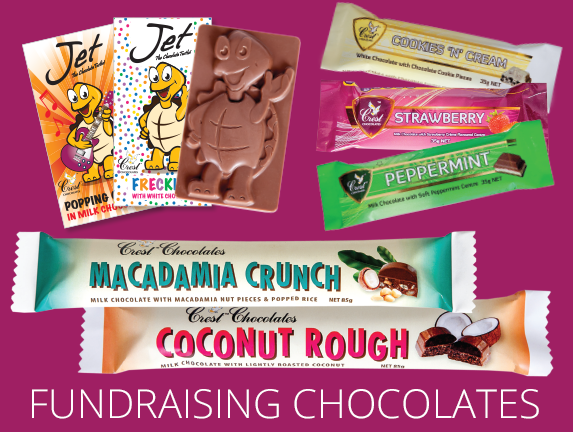 At Crest Chocolates we take pride in our products and know that you will be delighted with our delicious fundraising range. 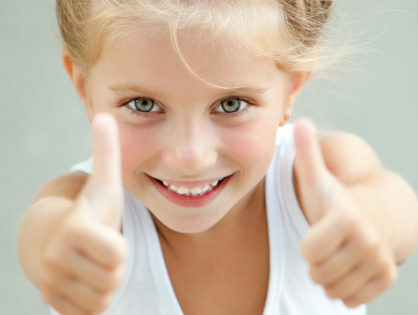 Not sure how to select the best fundrasier for your school or group? We are here to help guide you in selecting the best option for your school, group, club or organisation. 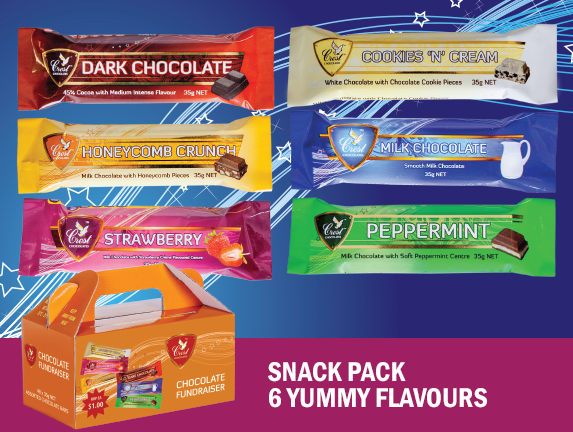 6 delicious flavours, pre-mixed and ready to sell for high fundraising profits. 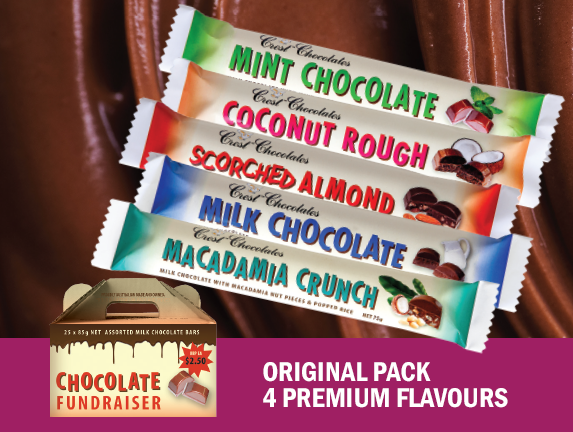 Six tempting chocolate flavours, pre-mixed in box packs, perfect for fundraising. Original and still the best! 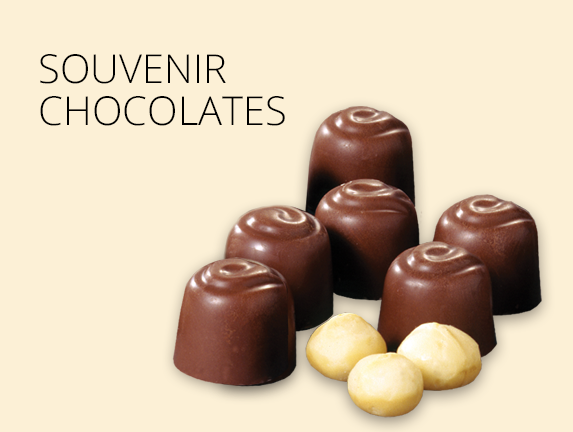 Five flavours that have been around for decades. Highest profit fundraising range. 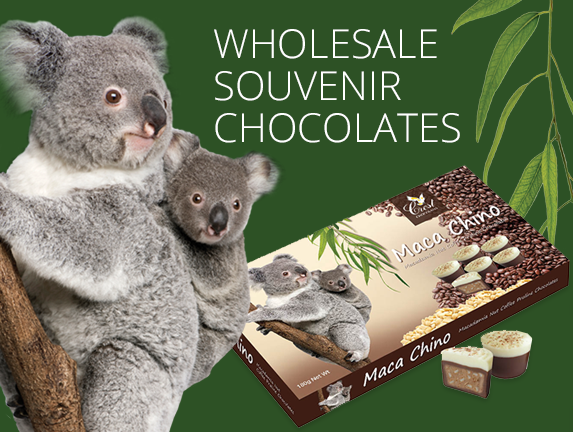 Our chocolates are popular with everyone from Australia’s biggest retailers, to boutique event management companies and hotels. 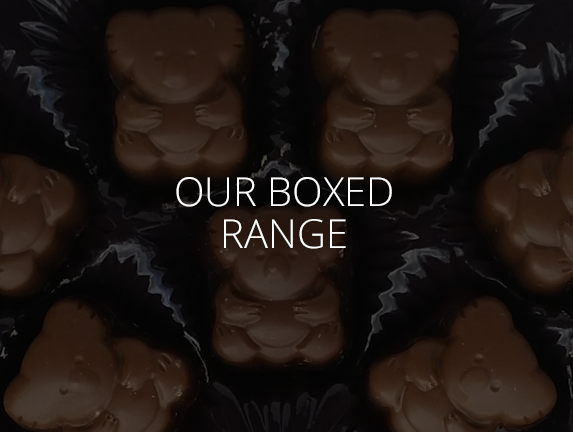 Our Australian designed boxed chocolate ranges are the perfect gift for the traveller wishing to show their family and friends back home the best known images of Australia. We invite you to browse our online catalogue and give us a call for more information including pricing and quantity orders.